CFA preparation course is built around the CFA® Candidate Body of Knowledge and will cover a broad range of topics, such as statistical methods, economic analysis, and essential investment tools. In the course you will have numerous problem solving sessions, practice exam questions and take a full practice exam with a follow-up review session to improve your exam taking skills. TBD 18:00 - 21:00 4-5 – Economics Andrejs Jakobsons, PhD cand. TBD 18:00 - 21:00 5-6 – Economics Andrejs Jakobsons, PhD cand. TBD 18:00 - 21:00 7-8 – Financial statements Raimonds Lieksnis, PhD, Level II CFA Cand. TBD 18:00 - 21:00 8-9 – Financial statements Raimonds Lieksnis, PhD, Level II CFA Cand. TBD 18:00 - 21:00 9-10 – Financial statements Raimonds Lieksnis, PhD, Level II CFA Cand. TBD 9:00 - 12:00 Midterm Exam Raimonds Lieksnis, PhD, Level II CFA Cand. Final Exam Raimonds Lieksnis, PhD, Level II CFA Cand. 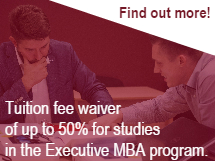 Program participants who meet all the course requirements will be issued a Riga Business School Financial Analyst Certificate. 60% minimum grade on final practice exam.